Open to anyone, whether you have a blog or not! No need to register or to announce what you are going to read. Start in any category that you wish. 3 books from this reading challenge can be used in other reading challenges. Just post in the comment section. The genre of the books can be ANYTHING (fiction or non-fiction), but it must be decent (because you have to write reviews about the books). Other reading materials (graphic novels, poetry, museum catalogs, art books, zines etc.) are OK. The book must already be in your bookcase or storage area. The Challenge starts 12/27/08 to 12/27/09. (I hate to begin anything on January 1st). You can post starting on 12/27/08. Format of work can be paper, audio, or electronic. To post, please click one of the tabs for the specific category and place your review JUST in that category, not on any of the 4 pages on the front of this blog. I will give out one prize each quarter, one prize for finishing five books (deadline 8/29/2009), and a nice gift for finishing the challenge (deadline: 12/27/2009). See posts below this one for details. See next post and download the right size for you. This entry was posted on Monday, October 20th, 2008 at 4:52 pm and is filed under Uncategorized. You can feed this entry. Both comments and pings are currently closed. What a terrific idea for a challenge – I may have to do this one. Thanks for the heads up…give me a couple of days to get this posted on A Novel Challenge (I’m a little crazed with work right now!!! )…I’ll let you know when it goes up! Your challenge has posted to A Novel Challenge! Hope you get lots of interest! This one looks like a lot of fun. I’m almost finished all my 2008 challenges and I’ve been looking for something for 2009. I’m in! I’ll post about this challenge on my blog. This does sound fun. I have tons of TBR books. I think I’ll have to do this one. I’ll see how it goes. Wendy – Thanks for listing my challenge. I hope that you win one of my prizes! This looks like a great challenge. Count me in! It will make reading my back-logged TBR pile much more exciting. Do we post review links to the tabs at the top of the screen? Lynne – I didn’t sign up for too many challenges this year and have just one to complete. Beth F – I tried to make it as general as possible, so you don’t have to hunt around your stacks for a book that meets all the qualifications. See your comment in a couple of months. Last year was a complete bust for me challenge wise so I am only doing a couple this year and this one sounds perfect as the “specifics” still leaves it open enough in order for anyone to complete – and have fun doing it. Laza – When you are ready to make a comment, it asks for your name, email, and a link. So you can link to your review at that point. If you just put the general link, your review will get “lost” the more you post on your blog. JC – Good luck! I’ve added the General Challenge Link to this post so you can find another one. I just found The Rescue Challenge – it’s also very general and I might join to help my whittle my own stacks. Laza – I just re-read your question and see what you mean. You click on the tab for the specific category and post there. I will re-write my intro to clear that point up. Thanks. This sounds fun; I’m in! Haven’t decided what I’ll be reading though. Tuesday – the good thing is that there are still 2 months to think about it. 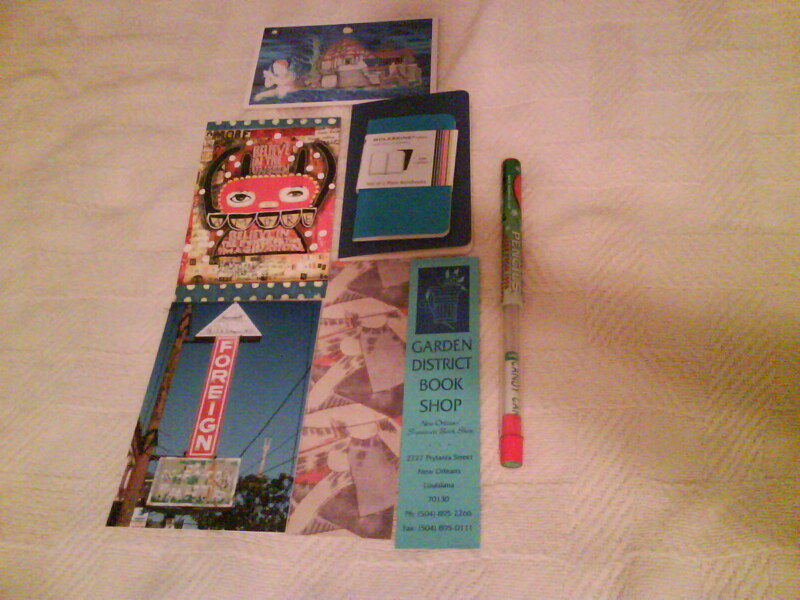 Plus, you might receive some nice gift books in December. I also have time to tweak this site, without being in a hurry. This one sounds like a lot of fun; a great way to attack Mt. TBR! Ted and Mo – I apologize for not responding sooner. I took two days off the internet. Glad you joining the crowd. This sounds like fun! I needed something to eat away at my TBR pile!! I’m in! I’m in! I always need help taming my TBR stack. Jaime & Kristina – welcome! Looking forward to your posts. This is a very creative twist on the tbr pile. Count me in! Kim – I wanted to make it as fun as possible. Tif – You will do well. All you need is the TBR stack! Corrinne – Glad to have you on board. Quenby – if you open a store, send me an invitation. Welcome all – looking forward to your comments. This is great. I have lots on my shelves that need read and then they can go bye bye. I’ll start making a pile. And get posted to my blog. This looks like fun, whittling away at the piles is always a good thing. Question: One of the rules says – 2 books from this reading challenge can be used in other reading challenges. Since I’m signed up for 100+, 101 in 1001 days, and a number of other challenges — it sounds like I’m limited to the number of other challenges I claim for these 9 books. Or do I just not reflect on my list of these 9 that they qualify for the other challenges? Thanks Isabel for hosting such a fun challenge! Jenny – Best wishes in your reading adventures. cafeshree and bookworm – I look forward to your reviews. Jan – my challenge is the least restrictive of all. My suggestion would be to find the books for the other challenges, and if you have any leftovers, use the books for mine. Since I don’t know how big your TBR pile is, please write to me off-line. I don’t know whether my answer applies in your case. This sounds like a great challenge. Please count me in! I will post about it on my blog in the next few weeks. When you say “a literary prize,” does that include Pulitzer Prizes and National Book Awards for nonfiction? Miriam – any prize! It can be international, national, state, county, city, regional, university-related. And the author did not need to win. Being on the long-list or short-list is enough. For example – In the US, many books have been selected for the Big Read Project. In New Orleans, we have the One Book, One New Orleans project, so that’s considered an honor. If your local paper has a prize for best books in certain categories, that counts also. The prize or honor can be for any genre. And your book doesn’t have to be the prize winner! The author must have been nominated for it. Great to see you here! Glad that you joined. I found out about this challenge from Tif. I have never entered a challenge before. Since I am a novice online, I may not post anything, but I will definitely read and do reviews on paper for my own documentation. Thanks for the nudge to get to work on my TBR. How fun is this? What a great idea for a challenge! Count me in! I have a similar question as Jan. I’ve signed up for the 100+ challenge, and I know I’m going to barely make it to 100 next year. I only have about 55 books listed for other challenges that also apply to the 100+, but your rules for the blog says only a couple of these 9 can also be applied toward other challenges. Question is – does the 100+ count as a “challenge” since it’s not book-specific? I’d love to join this one, it sounds fun, but I dont’ think I could read 100 and then another 9, you know? Thanks for your help. I’m in! I’ve got my list posted on my blog. I’m excited for the new year to begin! Count me in too. This is going to be a great challenge 🙂 I’ll post a “start” on my blog on January 1st. I think that I will give this one a shot – please sign me up! You know what? I’m going to go ahead and join. Since the 100+ challenge includes all books I read next year no matter how many I read, I can’t imagine it counts as an overlapped challenge, since it doesn’t specify books. The nine books I chose are not used for any other challenge. Thanks for hosting such a fun challenge! I’ll play! Sounds like fun. Thanks for doing this. This is fun! i’m doing it on Twitter and will be using the hashtag #9for09 so you can follow the progress! To the last nine posters – I approved your comments, but didn’t press the correct button; that’s why it didn’t appear sooner. WordPress changed its dashboard, and I just have to get the hang of it. Valeria, you can do quick review in the comment section. Thanks for being brave! Chan, Susan, Chain Reader, Kristi, Maria, and Erin – Welcome. I’ll check on your blogs. Erin – I’ve never been twittered before. Thanks for including this new communication method. Amanda – on Jan’s request, I did increase the overlaps from 2 to 3 books. If you find this challenge too hard to complete due to other commitments, don’t worry. I plan to have another one for 2010! I am glad to hear that you were able to find more books, so you could participate in this one! I’m also in! Although I’m not sure that I have a book for every category. Excellent challenge! On Friday I’ll be picking up a collection of books ($2 bag sale at the local library), and this sounds like a great way to guarantee that I read at least some of them! I love the different categories, and that it isn’t just a matter of “any 9 books”. Looks cool! I want to join in too! For once, I know this is a challenge that I can complete. 🙂 I did poorly in my 2008 challenges! I am definitely joining – sounds like a lot of fun!! I posted about the challenge here! I did manage to find something for every category. Welcome to Mervih, Avisannschild, Kara, Josette, Atticus, and Maria! Have lots of fun with the categories. I love the idea of this challenge! I posted my to-read list on my blog. Can’t wait to get started! An original idea in challenges I should think. I’ve just read all the category desctiptions and I am in for sure. Will get a post written. Thank you. Pam, Vasilly, Christina, Sandra, Judy, Jen, Eva, Mo! Judy, I need to clear up the LETTER category. I meant to say a LETTER from the ALPHABET, not a written thing to someone. That’s the problem with English: one word can have many definitions. Thanks for reminding me. I’m in. I’ll be making a post soon. Kathrin, Pussreboots, and Maria, Welcome! And have a great 2009. I love the icon and categories for this challenge! I couldn’t resist – here’s my post outlining my book choices. Thanks for hosting this challenge! I have posted my tbr list for this challenge. This challenge looks like great fun! I’ve already posted my selections on my blog. I look forward to seeing what everyone is reading…and to making my TBR pile a wee bit smaller. Thanks for hosting! Hey, you got featured in the March edition of Romantic Times Book Reviews!! This challenge was featured as well as a link to my blog A Novel Challenge 🙂 Congratulations (it is on page 22 of the print edition of the magazine). I finished 5 books out of the 9 requested.. It also has a link back to my challenge page. This is fun, I’m up to four read and reviewed (Long, Free, Strange, and Distance), and far from reducing my TBR stack, I’m finding all kinds of books to add thanks to the great reviews! Just came across this challenge. Count me in. I’m in. This looks like a really fun challenge! I have completed this challenge. Thank you for the opportunity to participate. It has given me an opportunity to read many books that I might not have ever read. Sometimes it is all about the hunt for the right book. I would like permission to take some of these ideas to create criteria for my reading students at school. I am doing this one! Thank you! looks like a lot of fun!